Last night I was having a BBQ party at my best buddy’s place. It was very well organized event. All of my friends really enjoyed there a lot. 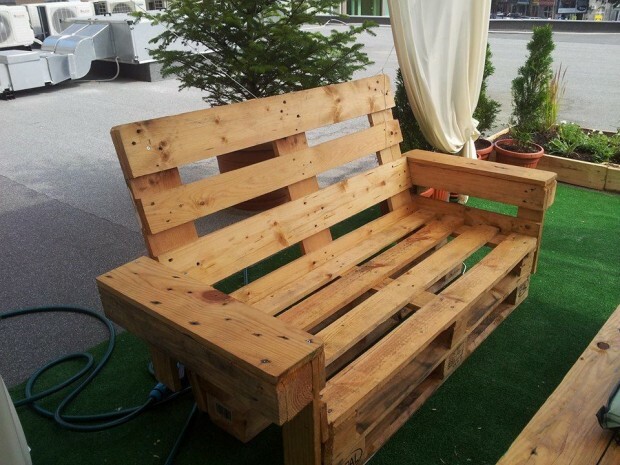 Another thing that is common in me and my pal is the art of recycling the wooden pallet. He also holds the view that the cutting of trees to meet our needs of timber should immediately be cut. We are already having bulk of timber so instead of cutting of trees, we should recycle the existent ones first. He is also a real crafter. He just like me has repurposed the wooden pallet into countless practical furniture items. His garden is quite spacious and the number of guests was also huge, but he did not face any sort of problem in accommodating the guests because he was having a number of wooden pallet recycled furniture items. When you are a man of parties and gatherings, then you have to manage for the robust finances. Obviously when you have to meet the expenses of food and accommodation, it would easily drain your wallet out. So for a perfect garden sitting arrangement, have a look on this awesome spacious couch that is also having a matching table with it. 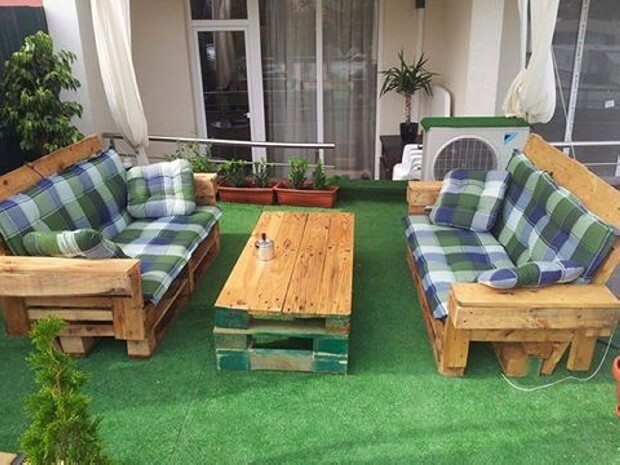 All the couch and the table are upcycled with the wooden pallet. Have a deep look on the huge structure of this couch, it is pretty much spacious than the conventional alternates. While armrests are also pretty giant. So this seems to be a real package of style and luxury at the same time. And I am sure it wouldn’t have cost the crafter much as pallet is something freely and easily accessible every where. On the other hand the table is also built accordingly, very wide in space and durable in the structure having multi layers of wooden pallet.